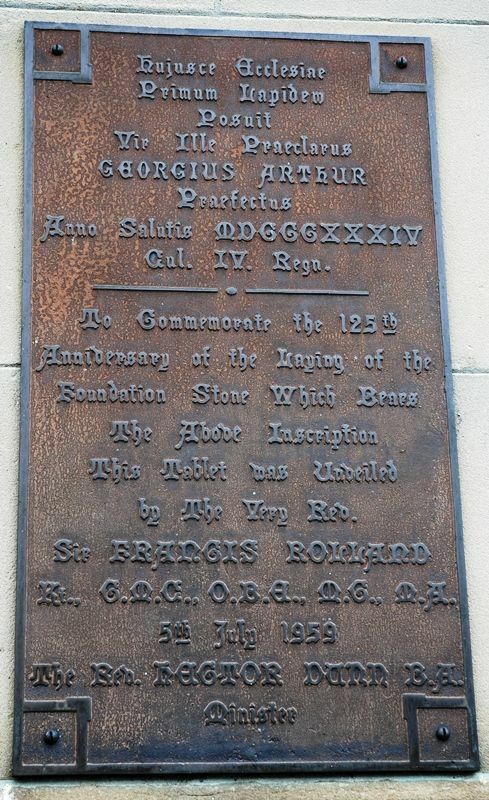 A plaque commemorates the 125th anniversary of the laying of the foundation stone of Scots Church. This tablet was unveiled by the Very Rev. Sir Francis Rolland Kt., C.M.G., O.B.E., M.C., M.A.